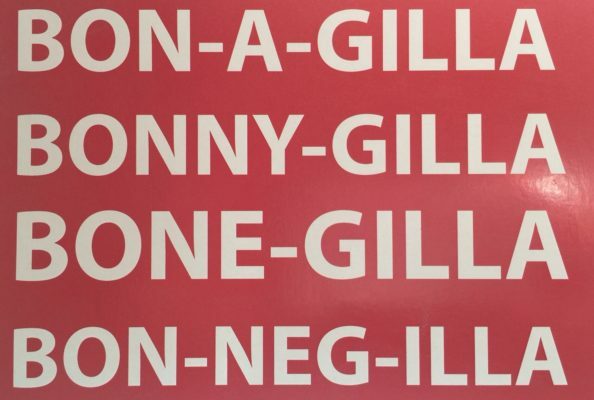 So what on earth is Bonegilla? Bonegilla is the Bonegilla Migrant Reception Centre, a spawling ex-Army camp on the River Murray in north-eastern Victoria, near Albury-Wodonga. Between 1947 and 1971, more than 320,000 people passed through there after arriving in Australia, looking for new lives and better opportunities. 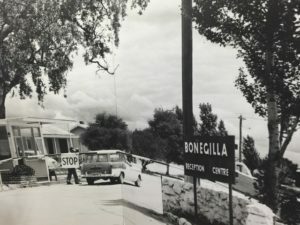 The small community is called Bonegilla and pronounced Bone-Gilla. But the camp came to be know as Bon-neg-illa as that’s the way migrants began pronouncing it when they arrived there. And although it’s thought to have come from a local indigenous name meaning deep water hole or big cattle camp, it does sound Italian so I can see why its usage changed. In June 1954, two people arrived with their five children in tow. 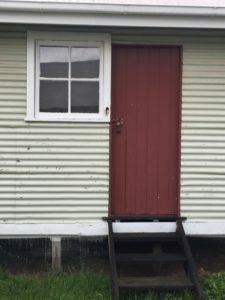 They had agreed that in return for free passage to Australia, my grandfather would “remain in employment approved by the Government of the Commonweath of Australia for a period of two years” after his arrival. They had brought with them two suitcases, a wooden trunk, and memories of their birthplace devastated by the war. 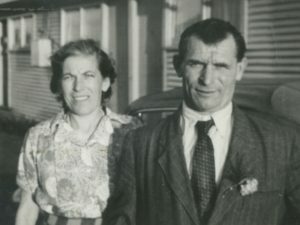 They were my grandparents, Stefan and Maria Scheirich. They, along with their four daughters and son, were described by an Australian Embassy official as an “average family group”. In his cursive on the immigration paperwork, he wrote that “although unimpressive in appearance (Stefan) seems a hardworking type”. There wasn’t much Inside that trunk they brought with them. Some photos and papers, their best clothes, a new set of saucepans that my Oma had bought in Germany and hadn’t wanted to leave behind, and some new candles for their first Australian Christmas tree. They’d lived in Germany as refugees since the end of the war – they were Hungarian-born but of German heritage – and had decided to leave Europe for a new future. They disembarked the Fairsea on June 12, stepped on to a train and then got off at Bonegilla on a very cold night in June. They were there for two weeks before my Opa got work in South Australia, so the family packed up once again and moved to Adelaide. 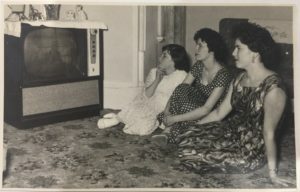 My Auntie Maria, my Auntie Katherine and my mum Emma all looking very glamorous around the TV in the 1950s. So, they settled in. The younger siblings went to school, the older ones to work, and all of them began the process of creating new lives in Australia. Here are the five Scheirich children in 1954. All are still living. 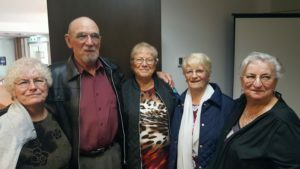 Between them they have given my grandparents ten grandchildren, nineteen great-grandchildren and six great-great-grandchildren. Thinking about my grandparents’ journey gave me the idea for “The Last of the Bonegilla Girls”. In doing so, I hope to have honoured them, a couple who lost everything and went through so much. My three children never got to meet their great-grandparents, and I hope the book will help them understand their own history. And in the writing, I figured out what kind of Australian I am, too. 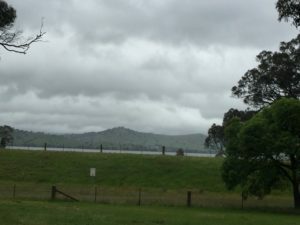 Back in 2016, I went to Bonegilla to look around and do some research for the book. It’s now a history museum with resources to research your family history. It was an incredible experience to walk around the same place my grandparents had back in 1954 and made it easier to imagine their stay there and all they experienced. If you have family who went through, I highly recommend a visit.